The measure of progress toward the completion of a course of study according to the standards of Northeastern University and required Federal regulations. Satisfactory Academic Policy (SAP) is the measure of progress toward the completion of a course of study according to the standards of Northeastern University and required Federal regulations. The standards of Satisfactory Academic Progress apply to all financial assistance programs including Federal Pell Grant, Federal Work-Study, Federal Supplemental Educational Assistance Opportunity Grant (FSEOG), Federal Perkins Loan, Federal Direct Loans (Stafford and PLUS), as well as assistance from the state and the institution. SAP standards apply to all students: full-time, part-time, degree and certificate candidates. The satisfactory academic progress of an undergraduate student will be reviewed annually based on the following standards. For qualitative purposes, satisfactory academic progress requires a cumulative Grade Point Average (GPA) of 1.80 or better for students completing their first year at Northeastern and a 2.0 or better each year thereafter. Undergraduate student GPAs are reviewed annually after the spring semester to evaluate eligibility for federal, state, and institutional grants, scholarships, loans, and work programs. Students must also meet quantitative requirements to retain their eligibility for financial aid. Student Financial Services measures a student’s quantitative standards by reviewing completed credits as a percentage of attempted credits after each academic year. 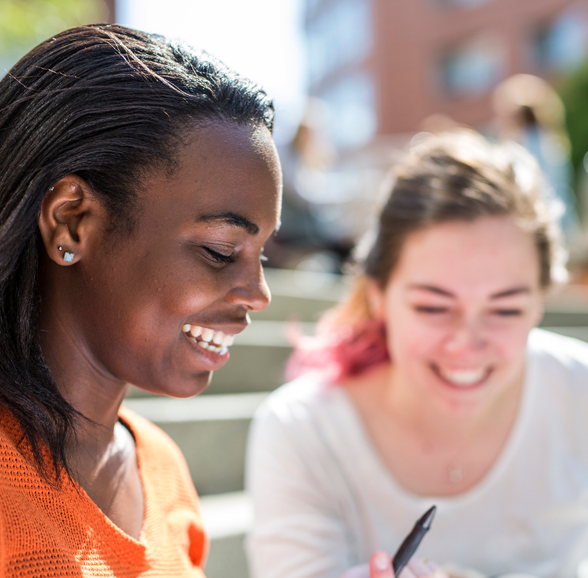 Transfer credits earned by students from other institutions and accepted by Northeastern University are included in the determination of a student’s percentage of completed classes. Students must earn at least 67% of their cumulative attempted credits to maintain satisfactory academic progress. Attempted credit hours are totaled and multiplied by 0.67 to determine the number of credit hours a student must have earned to be considered making progress. Example: A student who has completed their third year should have attempted at least 95 credits, but may have only successfully completed 60. S(he) is not making progress because 95 x 0.67 = 64. Withdrawals, incompletes, not enrolled and failures (W, I, NE, *, Fs) are considered attempted but not earned hours. Repeated courses are included in the calculation of both attempted and earned hours. A student is allowed to repeat a course only twice. Transfer credits accepted by Northeastern are included in the credit completion rate and maximum time frame calculations, but not the GPA. Other cases may be considered if they are determined to have caused physical or psychological stress on a student. Each situation is reviewed on a case-by-case basis. These requirements, stating time-frame and consequences must be submitted in writing by the student and documented in their file. A student’s eligibility for all aid will be lost in the next semester if the student does not meet the requirements in the period stated. Formal appeal letter describing extenuating circumstances. You must describe why progress was not made, and what has changed that will allow for progress to be made at the next evaluation. A copy of your academic plan created with your academic advisor demonstrating how you will achieve SAP during the upcoming academic year. 2. SFS Committee will review all required documentation once submitted. If your appeal is approved, you must sign a SAP contract for the probationary period. Students may regain eligibility for aid during the academic year if they reach the minimum standards of satisfactory progress within the same period of enrollment. Students may continue to attend courses at Northeastern University without the assistance of federal, state or institutional funding. Students are determined to be eligible for funds based on the timing in which they reach the minimum standards. The Department of Education’s standards outline different eligibility criteria for students who meet satisfactory progress standards within the current period of enrollment versus those who regain eligibility in a later period. Student Financial Services will award appropriate aid as specified by the Department of Education. A graduate student’s satisfactory academic progress will be reviewed based on the following standards. For qualitative purposes, satisfactory academic progress requires a cumulative Quality Point Average (QPA) of 3.0 or better. The qualitative standard will be reviewed annually. Students that fail to meet this standard will not be eligible for federal aid until the cumulative 3.0 QPA is achieved. 1. Credit Completion Rate: Student Financial Services measures a student’s quantitative standards by reviewing completed credits as a percentage of attempted credits. Students must earn at least 50% of their cumulative attempted credits to maintain satisfactory academic progress. To calculate this number, all attempted hours will be totaled and multiplied by 0.50 to determine the number of credit hours a student must have earned in order to continue to receive financial aid. Example: A student who has completed their first year should have attempted at least 24 credits, but may have only successfully completed 6. S(he) is not making progress because 24×0.50=12. 2. Maximum Time Frame Standard: Students will not be eligible to receive financial aid once they have attempted more than 200% of the normal credits required for their degree or certificate program. Day students should refer to their College or program for the number of credits required for their degree. In the College of Professional Studies, students in programs requiring 40 quarter hours for graduation will be eligible for financial aid during the first 80 attempted quarter hours. A grade of “IP” (In Progress) is considered to be a successful grade for students enrolled in dissertation continuation courses. Federal Law requires that all students who receive financial aid have their records reviewed at least once a year to ensure that they are making satisfactory academic progress. 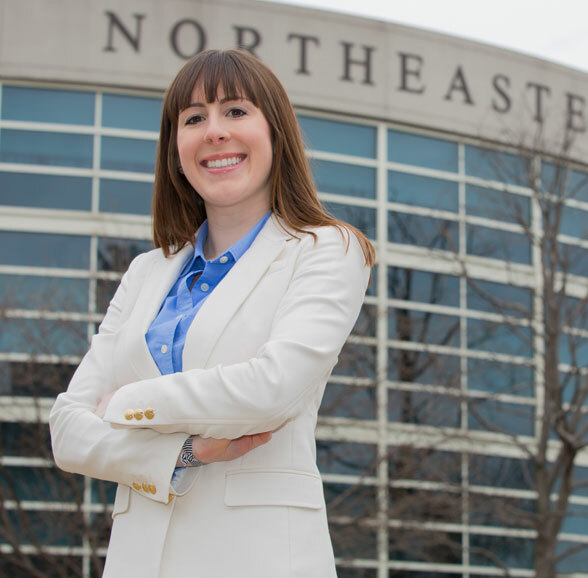 Northeastern University is required to conduct a Qualitative and Quantitative review of students’ records. As the requirements vary based upon student type, please see below for additional information. For qualitative purposes, satisfactory academic progress requires a cumulative Grade Point Average (GPA) 2.0 or better. Undergraduate student GPAs are reviewed annually after the winter quarter to evaluate eligibility for federal, state, and institutional grants, scholarships, and loan programs. Students must also meet quantitative requirements to retain their eligibility for financial aid. Student Financial Services measures a student’s quantitative standards by reviewing completed credits as a percentage of attempted credits after each academic year. Transfer credits earned by students from other institutions and accepted by Northeastern University are included in the determination of a student’s percentage of completed classes. Students must earn at least 67% of their cumulative attempted credits to maintain satisfactory academic progress. Attempted credit hours are totaled and multiplied by 0.67 to determine the number of credit hours a student must have earned to be considered making progress. For qualitative purposes, satisfactory academic progress requires a cumulative Grade Point Average (GPA) of 3.0 or better. The qualitative standard will be reviewed annually. Students that fail to meet this standard will not be eligible for federal aid until the cumulative 3.0 QPA is achieved. Other cases may be considered if they are determined to have caused physical or psychological stress on a student. Each situation is reviewed on a case-by-case basis. These requirements, stating time-frame and consequences must be submitted in writing by the student and documented in their file. A student’s eligibility for all aid will be lost in the next term if the student does not meet the requirements in the period stated.